Four months ago, I reached out to my all time favorite brand Natural Life. 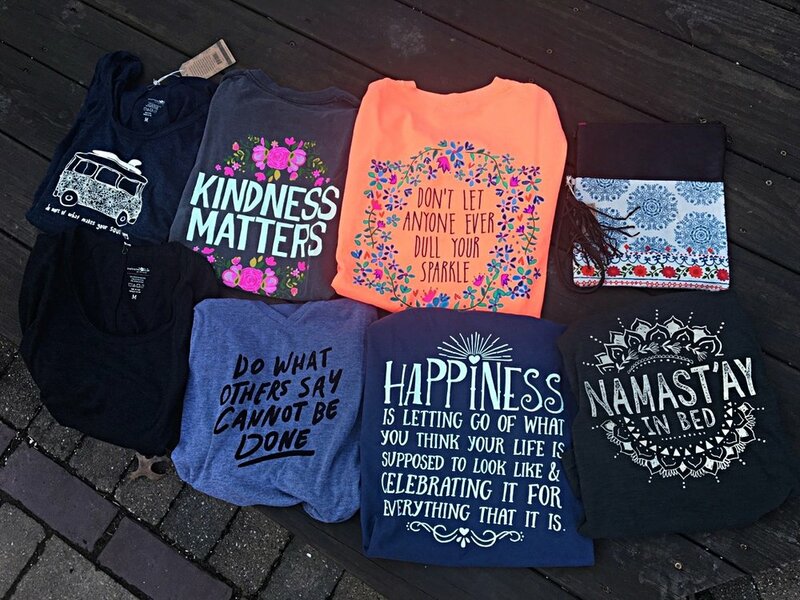 For those of you unfamiliar with Natural Life, their motto is the following: "We believe it's the little things that mean the most, that kindness really does matter, you should always be yourself, do what you love, and try to make the world a better place." I have been buying their products for years from a tiny shop in my college town, and I felt compelled to contact them because their products embodied values and messages that speak to my heart. I told them my story and how I wanted to pursue my passions in teaching, travel Europe for the summer, and share my hope story with others, which required an enormous leap of faith. They willingly agreed to support me and my dreams and sent me a 'HAPPY BOX' full of beautiful treasures. This company at their core is unbelievably authentic and practices what they preach by giving back and touching the hearts of all those they come in contact with. Thank you Natural Life for being a part of my journey and inspiring me to continue fearlessly on a path that has set me free! Happiness is letting go of what you think your life is supposed to look like, and celebrating it for everything that it is. For years I've had a Natural Life magnet on the back of my car that says, "Kindness Matters". This was the very first thing I had ever purchased from Natural Life. My sister and I shared a car at the time, and she was embarrassed by the attention it brought to the vehicle because she thought it was a 'Hippie Magnet'. It became an ongoing joke between the two of us and whenever she borrowed the car, I would find it hidden in the glove compartment. Today, I own my own car and unapologetically display my 'kindness matters' magnet. Kindness truly does matter, and it is a simple idea worth spreading everywhere!